Only 32.5 percent of employees in the U.S. are engaged, according to the latest numbers from Gallup. We throw this stat around a lot on Recruiter.com, but there’s a good reason for that. Low engagement levels cost businesses a lot of money. Research suggests that each individual disengaged employee costs their employer $3,400 for every $10,000 in salary that employee makes. Overall, the U.S. economy loses about $350 billion a year to disengaged workers. Given the severity of the employee engagement crisis, we thought now would be a good time to highlight 10 (well, technically, 11) tech solutions that can help organizations engage their employees at work. The following solutions tackle engagement from a variety of angles, so every employer should be able to find something that works for them. Okay, we’re already breaking our own rules. 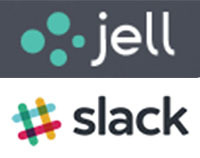 Jell and Slack are two separate solutions, and neither one is, strictly speaking, an employee engagement tool. Slack, as you’re likely aware, is the company chat app par excellence. Jell, on the other hand, is a digital alternative for standup meetings. Through the app, employees share their daily to-do lists with one another so that everyone knows what their colleagues are working on that day. While both solutions are great on their own, integrating Jell into your company Slack takes things to the next level. Whenever someone posts a daily status or completes a task on their list, the info is fed directly into a channel on Slack. Thus, Slack becomes more than a chat client: It becomes a one-stop virtual office. The Jell/Slack combo is, we believe, imperative for boosting engagement levels among remote teams. We use it ourselves at Recruiter.com, and we’ve never felt more connected with one another. In fact, I’d venture to say our community is livelier and more engaged now that it ever was when we were spending all our time together in a traditional office. Employee recognition has long been touted as one of the keys to engagement, and the research backs that claim up. Globoforce makes recognition easy by offering a full suite of services in one convenient platform. The company handles reward fulfillment and communications, and it can help employers promote all sorts of positive behaviors from workplace safety to health and wellness and beyond. Best of all, however, is Globoforce’s commitment to what it calls “strategic recognition.” Rather than a transactional program, Globoforce’s solution approaches employee recognition as an integral and integrated piece of an organization’s overall success. If you think recognition is just about giving cool rewards to your employees, take a look at Globoforce. They say you can’t manage what you don’t measure, and employee engagement is no exception. How can you possibly move the engagement needle if you don’t know where your workforce stands? That’s where Insightlink comes in. Insightlink helps employers carry out a “4Cs Employee Engagement Survey” that focuses on culture, commitment, compensation, and communication (hence the survey’s name). Armed with this data, employers can zero in on the areas that need improvement and focus their engagement efforts productively. 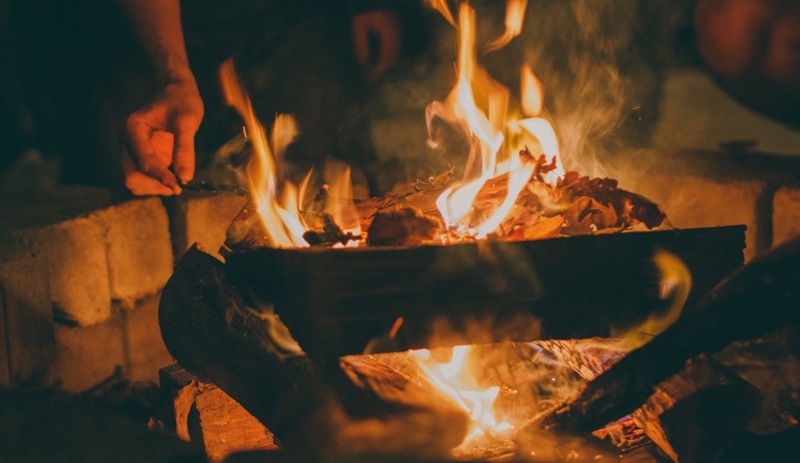 Generally speaking, you probably don’t think “employee engagement” when you hear “company intranet.” But Communifire is different. This document management hub is more of a collaborative digital space than a simple database. When we sent out a call for nominations for this piece, Rebecca Verhoeff, executive vice president at Best Collateral, sang Communifire’s praises – and totally convinced us that the solution deserves a spot on this list. “It’s up to the leaders [of a company] to actively tend and nurture the culture and the people,” proclaims an adorable animated video on TINYpulse’s website. That’s a wonderful thought, but leaders are busy people. How are they supposed to be the stewards of culture while also handling everything else on their plates? That’s precisely where TINYpulse comes in. Each week, the solution sends employees a quick culture-related question. Employees answer the questions anonymously, and TINYpulse sends the data back to leadership. By automating the process, TINYpulse makes it that much easier for leaders to stay on top of employee engagement levels and identify troubling trends before they turn into full-blown crises. Of all the solutions on this list, TINYpulse may be the single most proactive resource. Glint uses a matrix of 18 drivers of employee engagement to formulate meaningful employee engagement surveys. It also allows employers to add their own drivers and customize surveys. That way, any organization that adopts Glint can be sure the platform is aligned with its specific needs. Here’s something you don’t see every day: an employee engagement platform focused on corporate social responsibility. AngelPoints is just that, offering tech solutions that help employers run more efficient and impactful volunteering and giving programs. Given how important corporate social responsibility is to millennials, we’re surprised there aren’t more solutions like this out there. Not that it really matters, though: AngelPoints has pretty much everything you need to get your employees excited about your company and the difference they can make in the world. Like AngelPoints, Simulation Studios is a stunningly original approach to employee engagement, but rather than trafficking in corporate social responsibility, Simulation Studios tackles a different, yet equally pressing problem: helping employees see where they fit into the grand scheme of the business. One of the major contributing factors to low engagement levels is employee confusion about overall business strategies and the part they play in those strategies. Simulation Studios solves this problem by crafting custom business simulations that allow employees to experience the organization the way leaders do. This not only grounds them in the company’s overall mission and vision, but it also helps them develop important leadership skills, thereby giving your organization a stronger bench of potential leadership talent. Sugarwish flips the rewards and recognition process upside down by allowing the recipient to choose their gift – and yet, it doesn’t feel at all impersonal. In fact, Sugarwish’s beautifully designed virtual candy store makes the gift-giving process feel even more personal. You send a custom, branded eCard to an employee who deserves some recognition, and they get to go candy shopping in Sugarwish’s store (on your dime, of course). It’s a wonderful way to treat employees to a shopping spree that won’t break your bank.